Need to change your password? No worries! Your password is for your security so you need to change it yourself to verify your ownership of the account. 1. Log into your Yola account. 2. Hover over your email address. 3. Select Profile from the drop-down menu. 4. 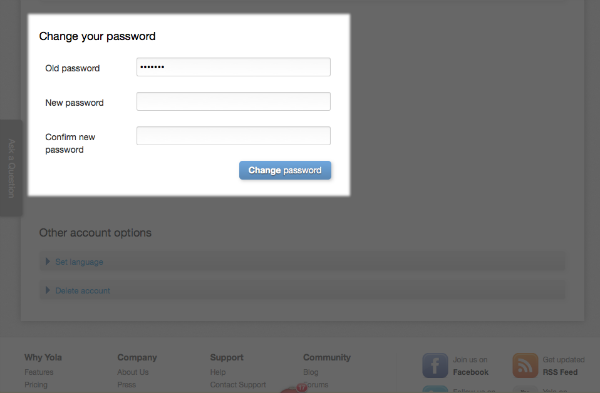 On the bottom half of the page, you will see a section called "Change your password". 5. Once you have entered in your password information, click the Change password button. A message will display to confirm that your password has been successfully updated.